Whether you're looking for an apartment or to fill a vacancy, Rentals Online is your Apartment Guide for Kentucky. Find out more about listing an apartment and having tenants view your Kentucky rental in our results. Rentals Online is dedicated to building a community of renters, landlords, rental agents, and property managers throughout Kentucky, and the nation, so communication and commerce can be quick, inexpensive and competitive. 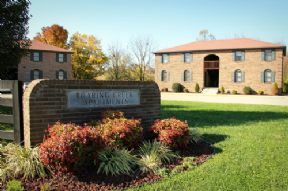 With the Rentals Online Kentucky apartment guide, both seasoned residents and those new to Kentucky, can find an apartment quickly and conveniently. Property owners and managers can now show Kentucky rentals without paying enormous fees. The state of Kentucky is well known for the Kentucky Derby which takes place at Church Hill Downs in Louisville. If you are planning to move here, you may also picture yourself sipping some Bourbon Whiskey while listening to some Bluegrass music and soaking up the southern culture. The state is filled with festivals, events and celebrations that will keep you on your toes. There are many fun places to visits such as the Corvette Museum or Old Louisville, the largest historic preservation district in the country. Lots of folks begin renting apartments in Kentucky while attending school at the University of Kentucky in Lexington and the University of Louisville in the state�s largest city. The state is also home to Fort Knox which employs thousands of residents and is one of the top states for automobile assembly. While renting here you may head over to Owensboro to take part in the annual International Bar-B-Q Festival which gives this area the credence as the Barbecue Capital of the World. The state is home to the Lost River Cave, the largest cave system in the world. This is also where the Louisville baseball bats were made. You can check out the history at the Louisville Slugger Museum & Factory.